Panasonic cites potential tax issues and uncertainty surrounding Brexit as the reason for the move. Panasonic has announced that it soon will move its European headquarters from the UK to Amsterdam to avoid any potential tax issues that could arise due to Brexit. 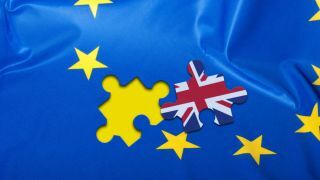 The UK's decision to leave the EU will go into effect in March 2019 and as a result a number of multinational firms have revealed similar plans to move their offices and employees out of the UK. In addition to Panasonic, several Japanese financial companies have also said they plan to move their EU headquarters away from London. Panasonic's decision was influenced by fears that Japan may consider the UK a tax haven if the country cuts corporate tax rates to help attract business. If the Japanese company pays less tax in the UK, then it could end up paying even bigger taxes in its home country. Panasonic Europe's chief executive Laurent Abadie told the Nikkei Asian Review that the company had been considering the move for 15 months over concerns related to Brexit such as being able to access goods and talented workers. The move from the UK to the Netherlands will not have an impact on the business operations of Panasonic UK and the firm said that fewer than 10 people out of a staff of 30 would be affected. However, Panasonic's decision to move its headquarters out of the UK could lead other businesses to follow suit. We will see if this becomes a trend as we get closer to Brexit going into effect in March.